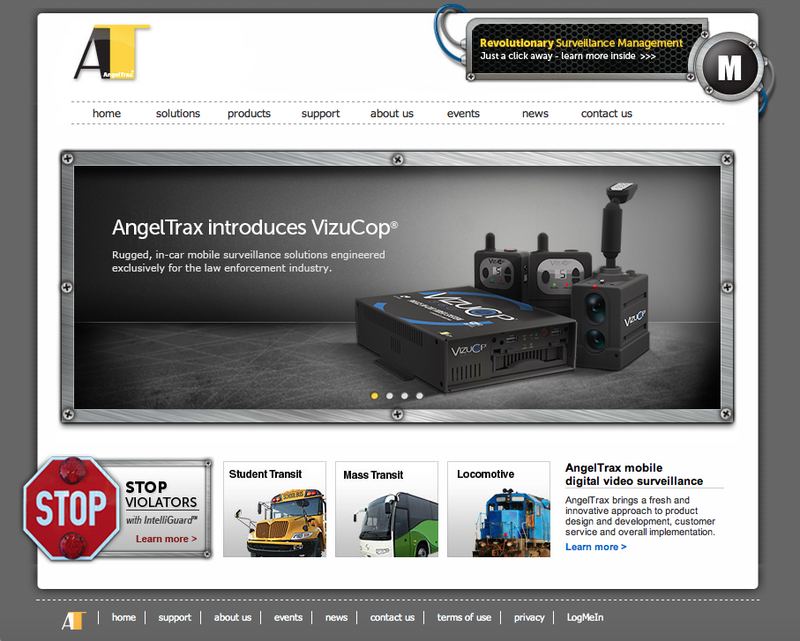 VizuCop was the newest police video system developed by AngelTrax. I worked with the marketing team to develop the brand name, logo and brand assets. 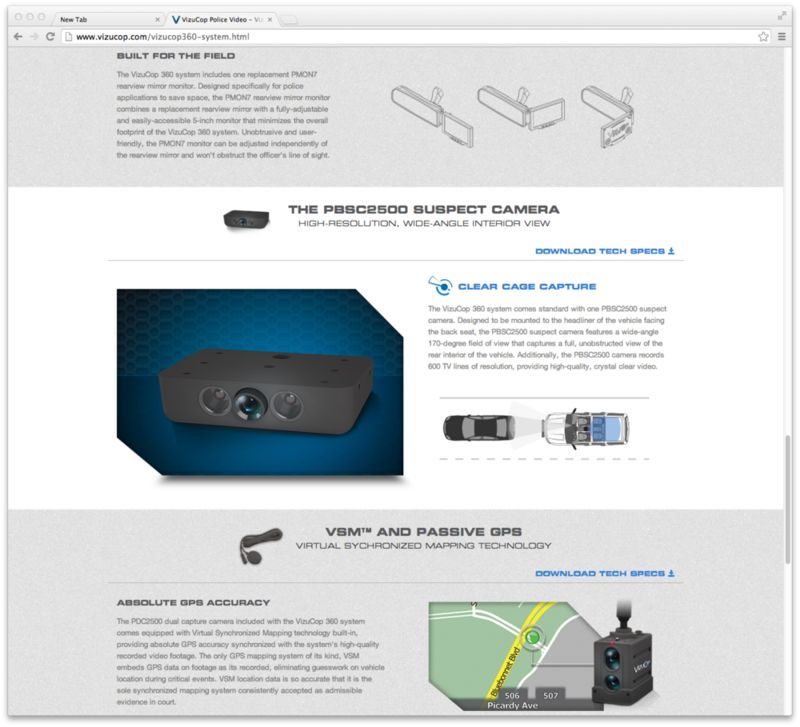 Two designs were needed, VizuCop 360 and VizuCop Police Video which were utilized for two individual systems. My work included the brand name and logo design. After the logo and product creation the next step was to introduce the line to clientele through the AngelTrax parent site. Below is the product mock-up and banner I created for this campaign. A sleek, sturdy design gives VizuCop an impressive, reliable and durable impression. Specific Icons were needed to express the features of the VizuCop system. Below you’ll see three I developed for print and web usage. Some of the assets I created for the VizupCop campaign included product line drawings, icons, info graphs, product illustrations and usage illustrations. 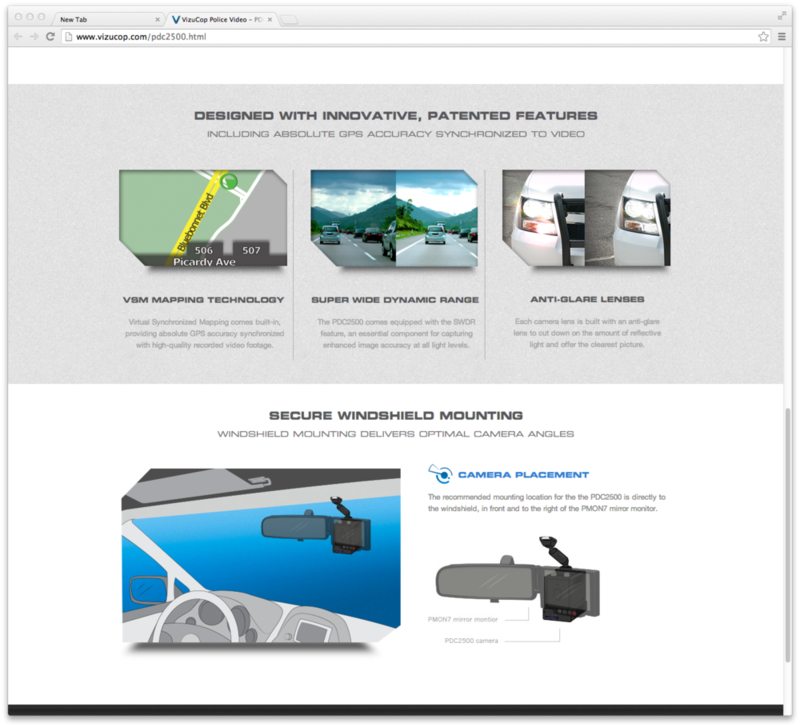 These assets were utilized on the website, in product books, and marketing materials. 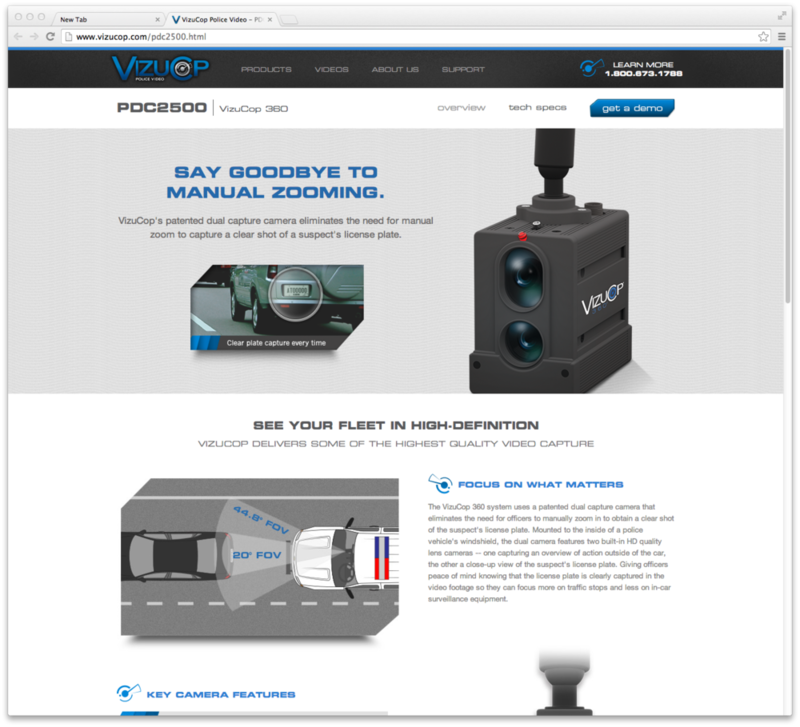 The VizuCop logo and brand assets were used for product development and marketing assets. 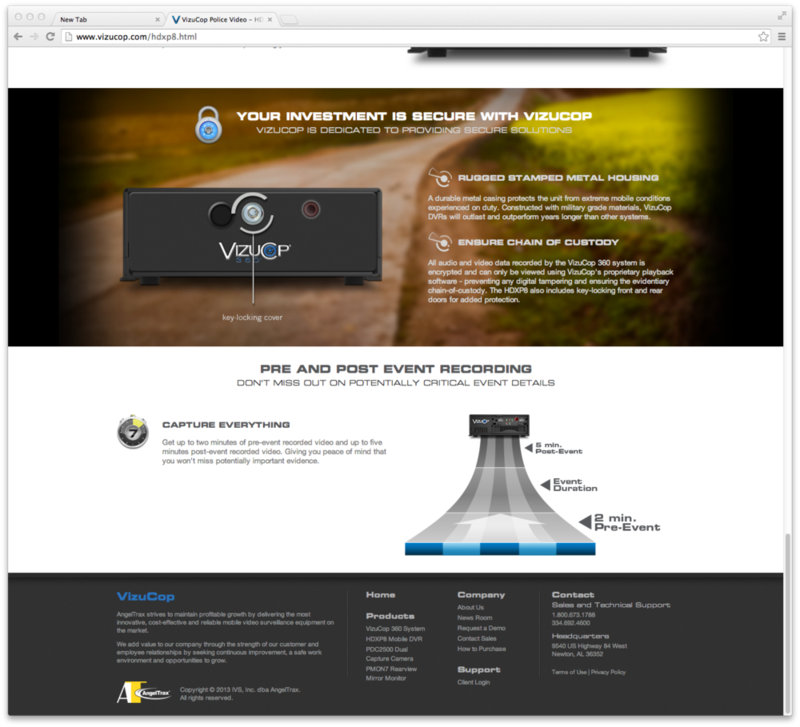 The images below show the real world application of these assets for the VizuCop brand.